While Google's Android mobile operating system (OS) is often deemed less secure because of its open source characteristics, PayPal believes the OS will be safer than other close-source OSes in the future as security companies pay closer attention to the software. Hadi Nahari, PayPal's principal security architect for mobile, NFC and proximity, explained that more hackers will be paying attention to the open source mobile platform in the next 5 to 10 years. But while it attracts more hackers, an increasing number of security experts will also take note and work to resolve these security problems, Nahari told ZDNet Asia's sister site, CNET China, during an interview at RSA Conference China 2011. 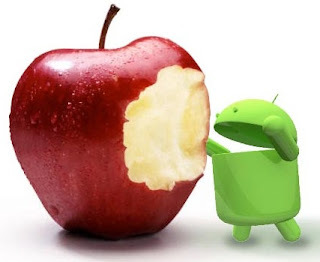 Thus, "in theory", future Android OS releases will become more secure than other closed OSes such as the Apple iOS, Research in Motion's BlackBerry OS and Microsoft's Windows Phone, he said. Nahari explained that Android today is not secure because of its open-source nature. Everyone, including hackers, have access to the platform's source codes and this leads to security issues, he noted. However, this does not mean that close source OS are more secure, he said. The iOS, for instance, is not as secure as it is perceived to be, according to Nahari, who noted that as Apple does not announce its security issues. Some users may perceive this to mean that the OS is safe, he added. He pointed to the host of security problems with the iOS, noting that Apple has been patching and updating the software.